Mysteries of the whale shark, an awe-inspiring scientist, a beautiful ship, Mexican cuisine, Margaritas… when last have you gone on an adventure of a lifetime that feeds the heart and soul? Throw in laughter, new friends, adventure and indelible experiences you can’t quite put into words! 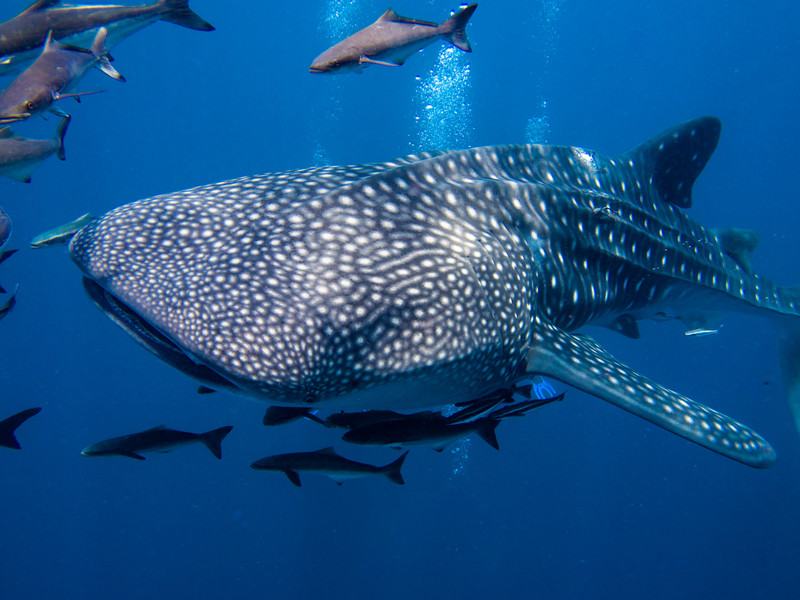 We invite you to join us on one of our whale shark research expeditions. These are NON-DIVE expeditions onboard our 110” ship the MV Adventure. When we're not doing the research, anticipate time for whale watching, snorkeling (to include an afternoon with sea lions), bird watching, kayaking, hiking and more! Each year we assist Deni in collecting new data and often, adding new whale sharks to her global database. It is an amazing experience and should be on everyone's bucket list. From the moment you wake to the moment you sleep you will be lost in the magic of the Sea of Cortez! These are not for profit expeditions. Experience the world of the mysterious, gentle, giants of the sea; the whale shark! Please inquire for 2019 rates, dates and availability.